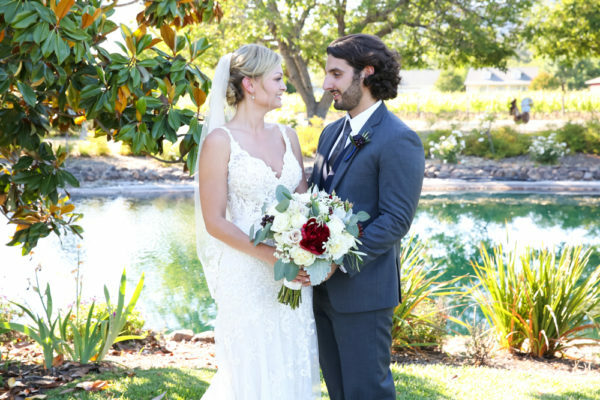 Kristen and Tanner tied the knot during their June destination wedding at Landmark Vineyards. 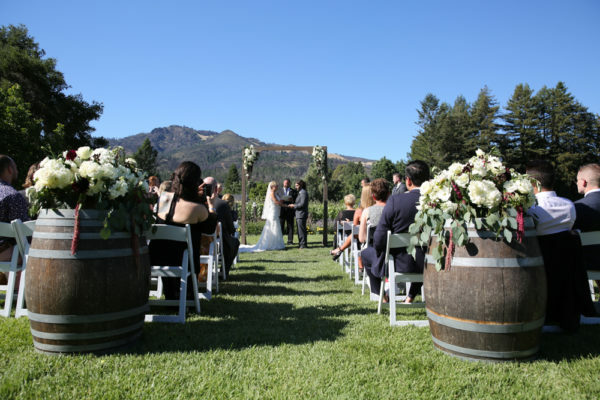 Landmark Vineyards sits at the base of Sugarloaf Mountain in the Sonoma Valley with incredible, picturesque views. Memories on this beautiful day were captured by Magdalena Stefanek Photography. Maggie is an outstanding photographer and her passion for photography and weddings is reflected in all of her work. Whether it is a local or destination wedding, Maggie knows what she’s doing and is a true pleasure to work with. With the ceremony held on Landmark’s great lawn and its stunning backdrop, Kristen processed in to Glenn Hansard’s instrumental “Falling Slowly”. Before long, the new Mr. & Mrs. Tanner & Kristen Stearns were recessing out to “Safe & Sound”. Ali DiLuvio Events coordinated everything for this romantic and magical day. Ali is an amazing planner and ensures that every detail, large and small, is covered, creating a flawless day for all her clients. 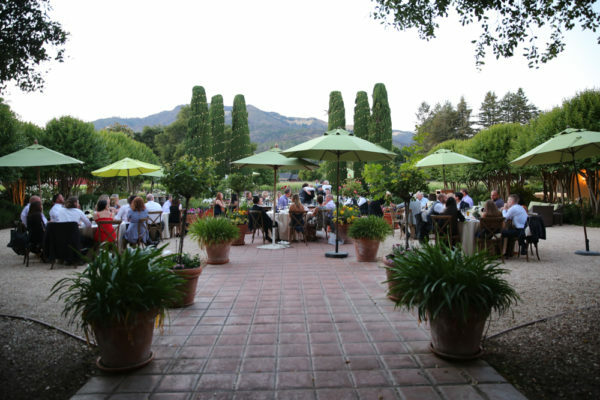 Seated in Landmark’s courtyard for dinner, guests were treated with views of vineyards and the Mayacamas Mountains while enjoying scrumptious food from Park Ave Catering. Park Ave Catering creates the most delicious and original menus and their staff is friendly and efficient. Kristen and Tanner danced their first dance as husband and wife to David Grey’s “This Years Love”. Then the bride and her father danced to The Beatles, “Here Comes the Sun” and the groom and mother danced to Rascal Flatts “My Wish”. Congrats Kristen and Tanner!! 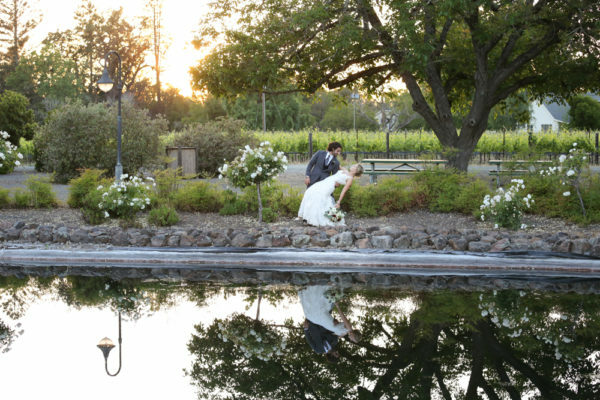 Thank you for letting us be part of your beautiful destination wedding at Landmark Vineyards! 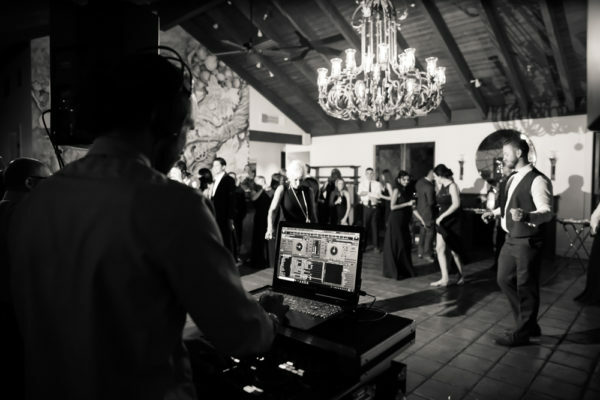 Interested in having an unforgettable wedding dance floor? Then contact AMS Entertainment by email or phone at (707) 823-7359. AMS took a lot of stress out of the whole wedding planning process, and also took our personal ideas and made everything turn out amazing.